Head to any local store in Louisiana and you’ll find a plethora of hot sauces, from The Original Louisiana Hot Sauce to Louisiana Gold to Louisiana Lightning Strike to the humorously named Slap Ya Mama (although we don’t suggest you do!) to the world-renowned Tabasco, all made from hot peppers ranging from cayenne to the eponymous tabasco. 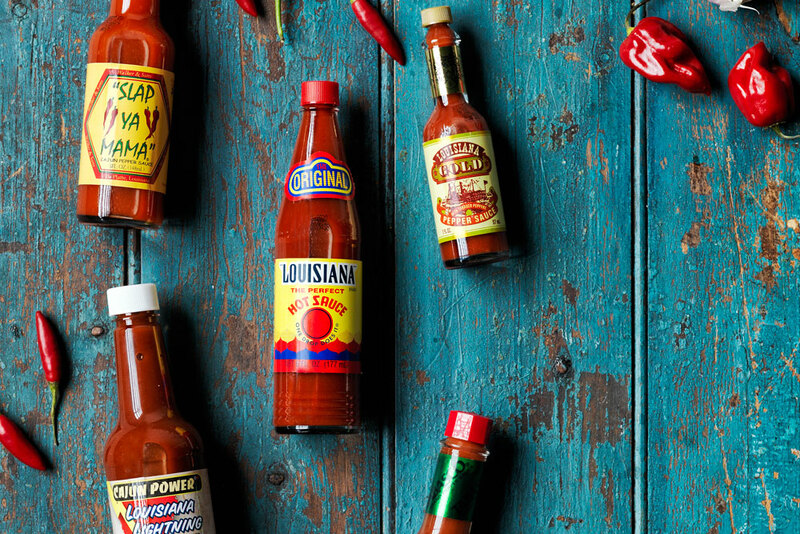 We find out why Louisiana is the home of hot sauce. Indeed this US state has long been associated with spicy food, its roots going back to the African slaves who arrived here spreading their affinity for well-seasoned foods, and the nearby Caribbean islands, where there is a penchant for peppery cuisine. Head to any local store in the state and you’ll find a plethora of hot sauces, from The Original Louisiana Hot Sauce to Louisiana Gold to Louisiana Lightning Strike to the humorously named Slap Ya Mama (although we don’t suggest you do!) to the world-renowned Tabasco, all made from hot peppers ranging from cayenne to the eponymous tabasco. Although The Original Louisiana Hot Sauce claims to be the first on the scene, originally made in 1928, Tabasco founder Edmund McIlhenny first sowed capsicum seeds from either Mexico or Central America way back in the 1860s. More than 150 years later, this famous sauce is to the USA what Vegemite is to Australia; it has even been included in military rations since the Vietnam War to add a bit of spice to otherwise bland provisions. In fact, the tabasco pepper is apparently so hot, farm workers need to wear three or four pairs of gloves just to pick them. Hot dang!